Brandon Trust is a leading learning disability charity. Our goal is to set people free to live more fulfilled lives. One of the ways we do this is to operate a series of social enterprises. 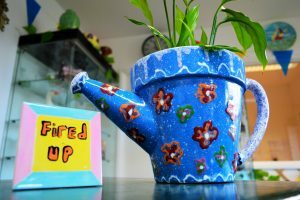 A lively pottery studio in Yate, Fired Up Ceramics is one such enterprise. At our studio, anyone can get creative. We host hobby classes, parties, and workshops.